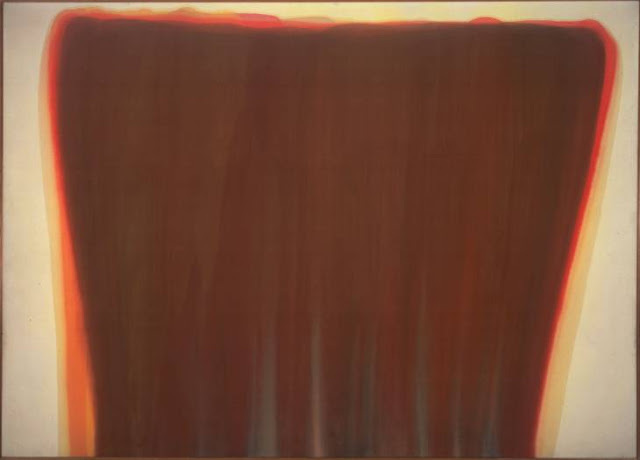 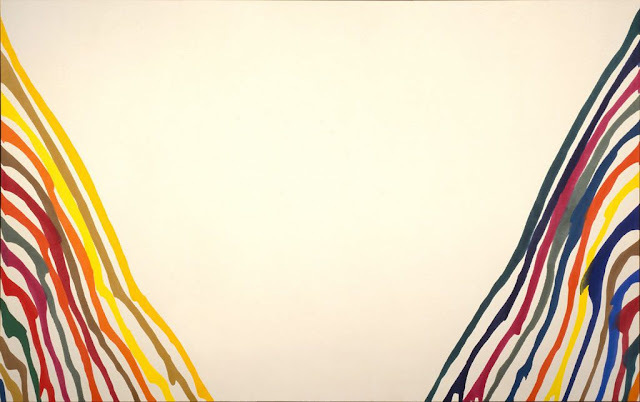 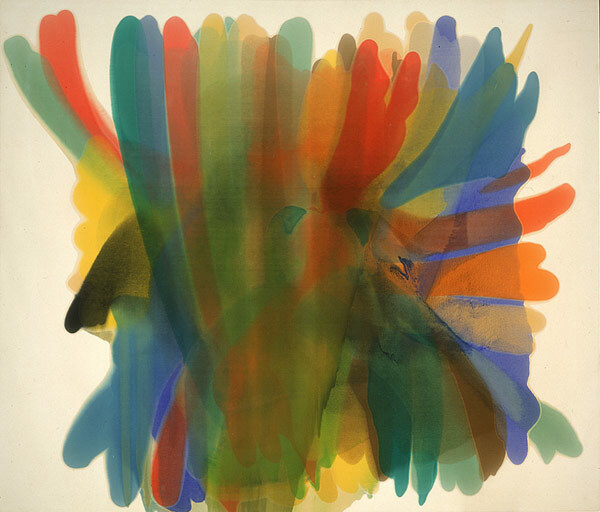 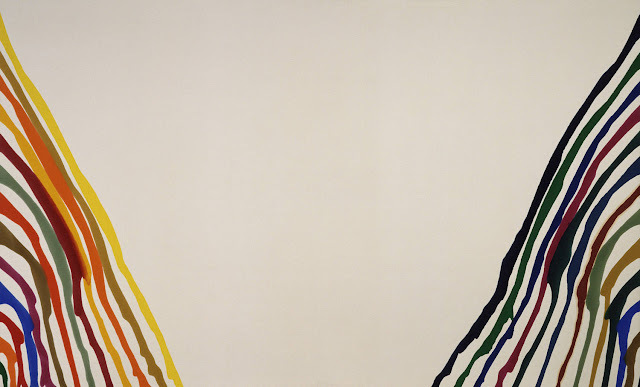 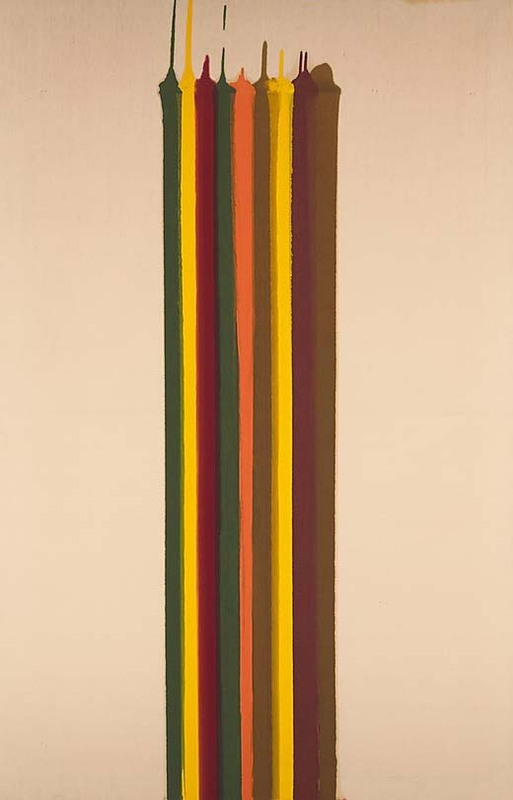 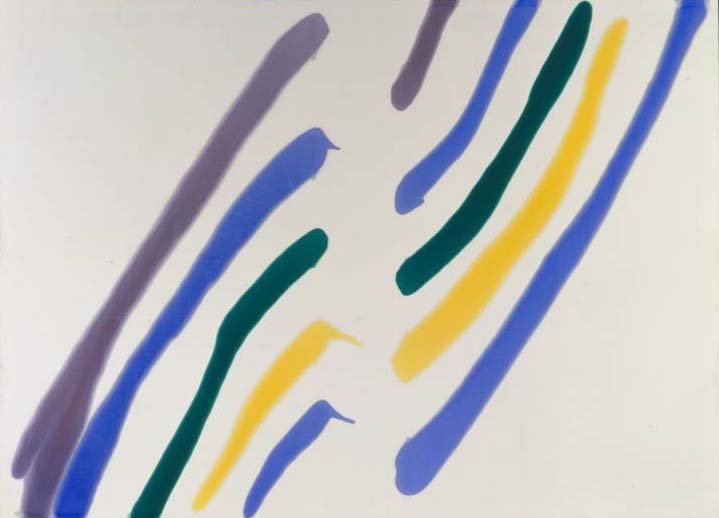 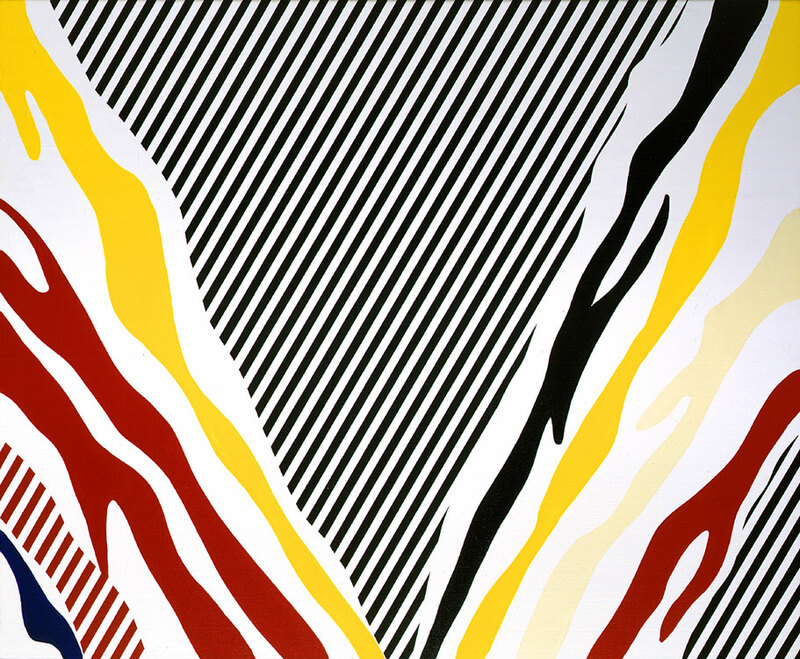 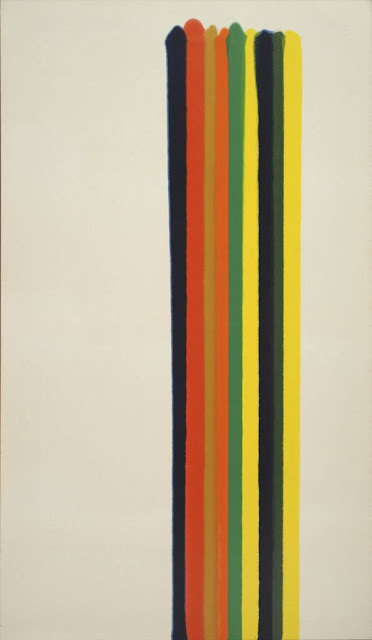 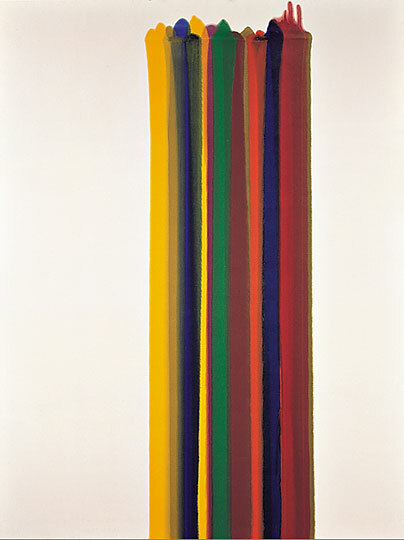 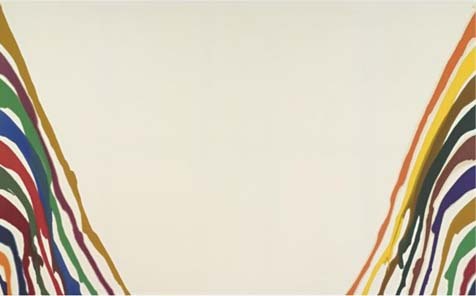 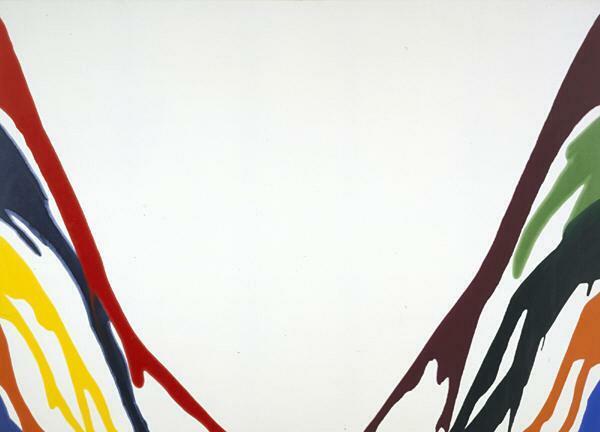 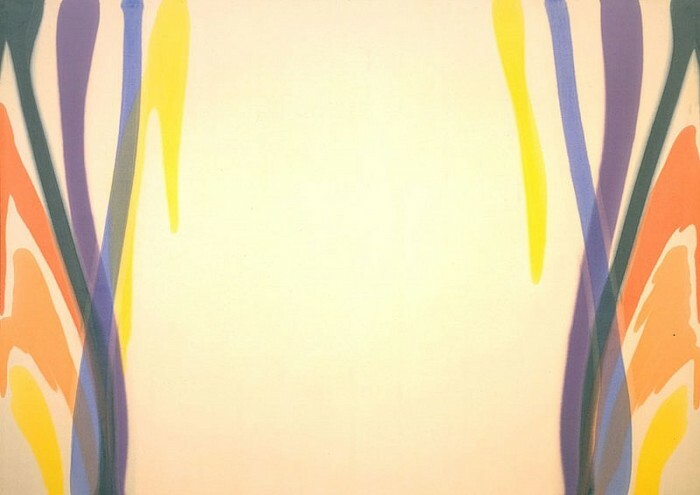 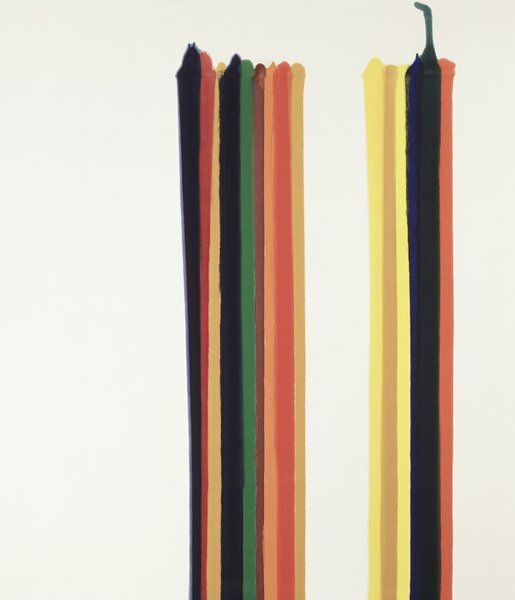 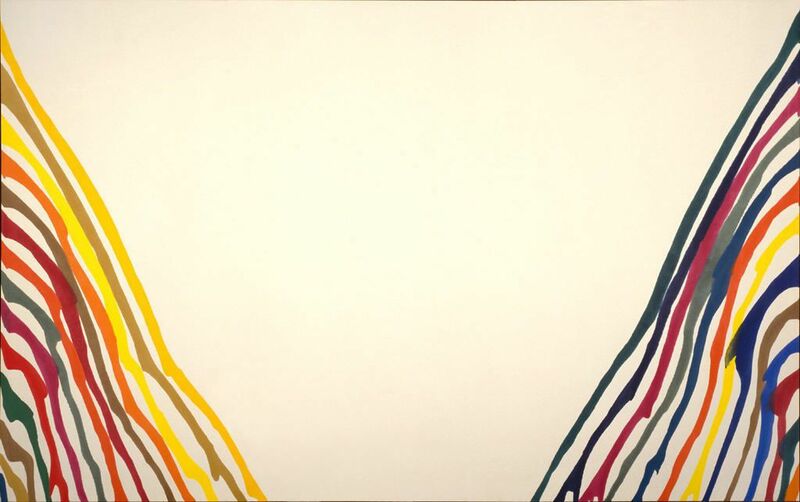 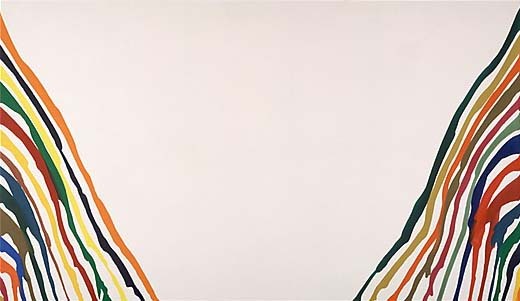 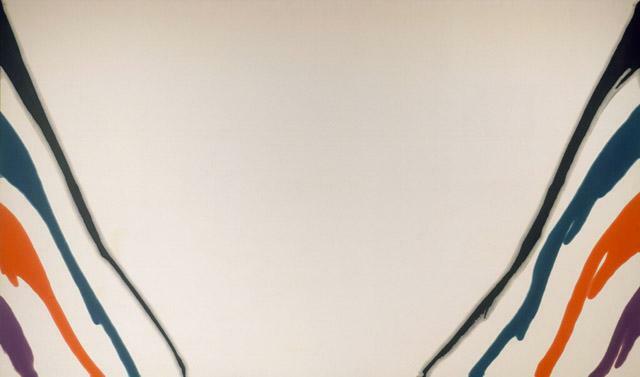 This is part 2 of a 2-part post on the works of American painter Morris Louis (1912 – 1962). 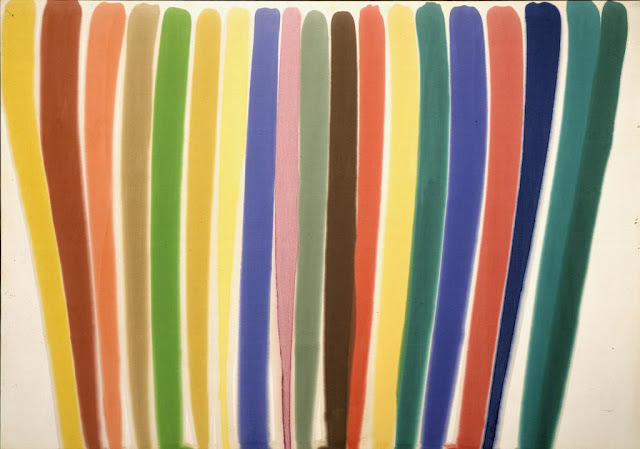 Louis was one of the earliest exponents of Colour Field painting. 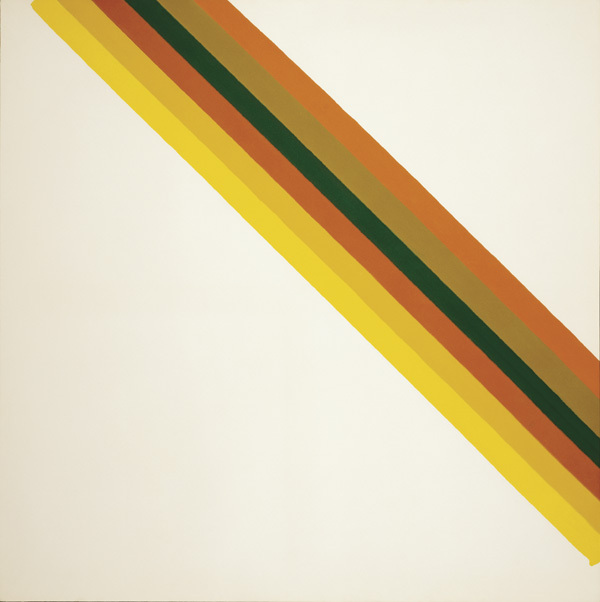 Living in Washington, D.C., Louis along with Kenneth Noland and other painters formed what is known today as The Washington Colour School. 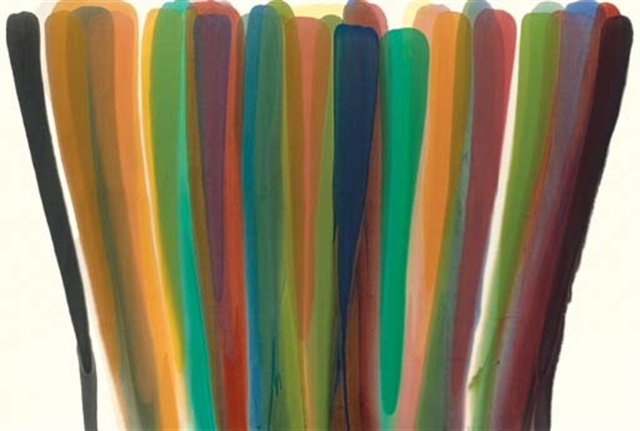 For biographical notes on Morris Louis and further works, see part 1. 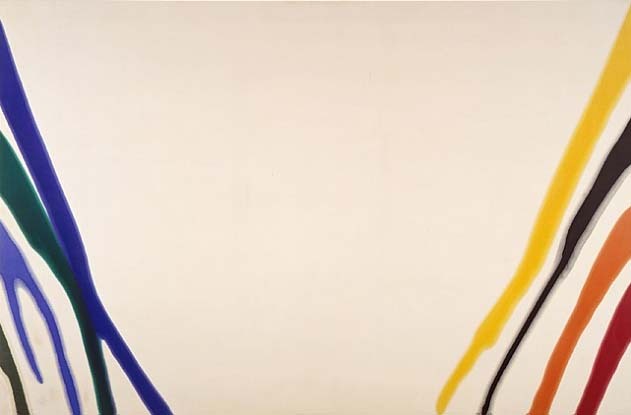 © Copyright: The presentation of these low resolution jpg files add more than words alone could impart. 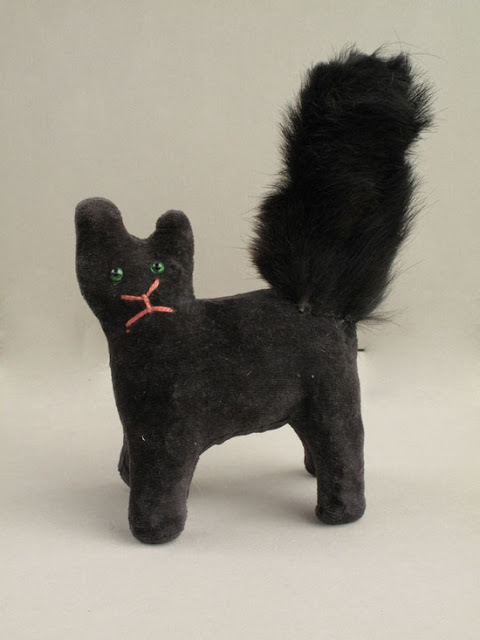 It is believed that this is fair use and does not infringe copyright. 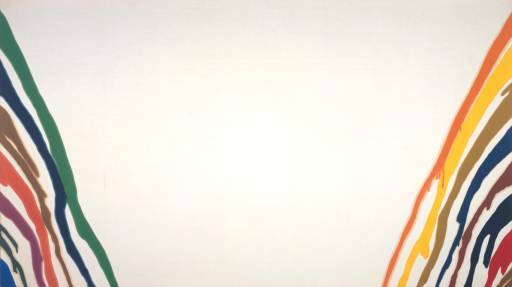 According to section 107 of the United States Copyright Act of 1976: The fair use of a copyrighted work…for purposes such as criticism, comment, news reporting, teaching, scholarship, or research, is not an infringement of copyright. 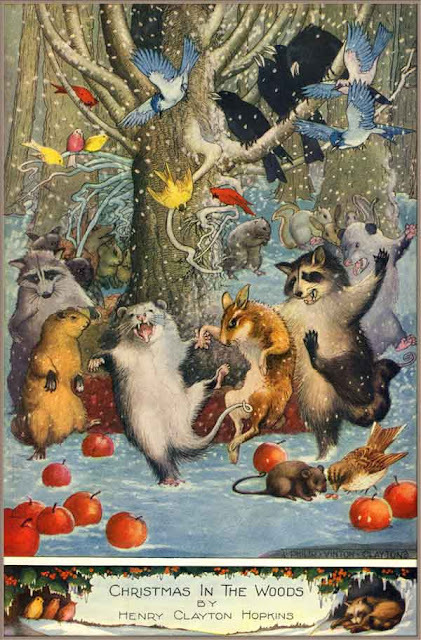 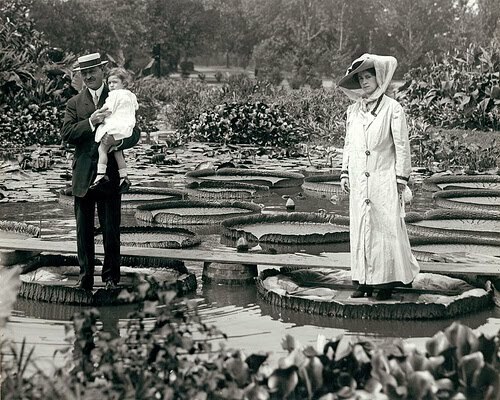 The images are used for non-profit purposes. 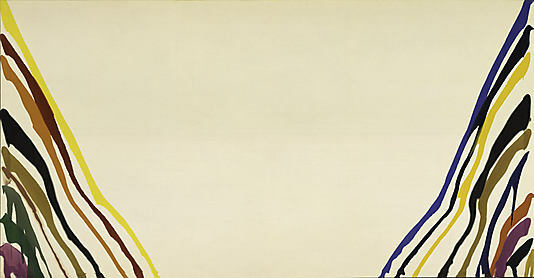 This factor is noted as relevant by the Act.